As the leading supplier of safes and vault rooms to the world’s finest jewelers, watchmakers, diamond houses and precious metals refiners, we offer a complete solution for the protection and organization of valuables concentrated in one location. Having developed the modular vault concept for the jewelry industry in the late 1970s, our depth of experience is unparalleled. We are well recognized by the insurance industry for creating more security solutions for the jewelry industry than any other company. 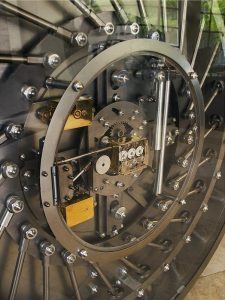 Since we specialize in both safes and vault rooms we can provide the best protection and prevention solution for your particular needs. Our goal is to provide our clients with intelligent and cost effective solutions.